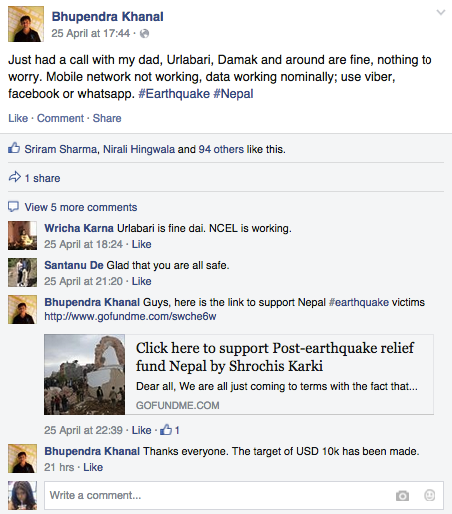 We came across a post which said that phone access is limited in Nepal, however data is available at some regions. Hence, apps like Facebook, Viber, Twitter, and Whatsapp are being used extensively for help. 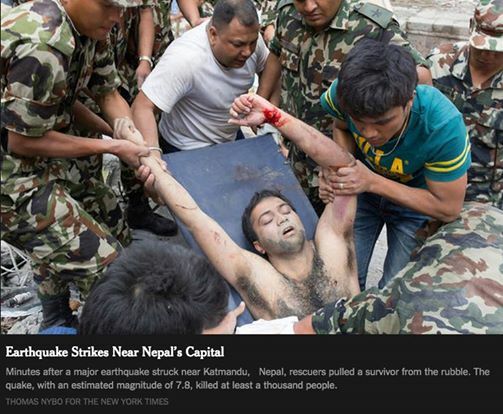 The Nepal tragedy has made it clear that Social Media now plays an integral role in disaster response, filling the void where cell services are lost. India has turned to Facebook, Twitter, and Google to stay informed, contact loved ones, notify authorities, and express support.